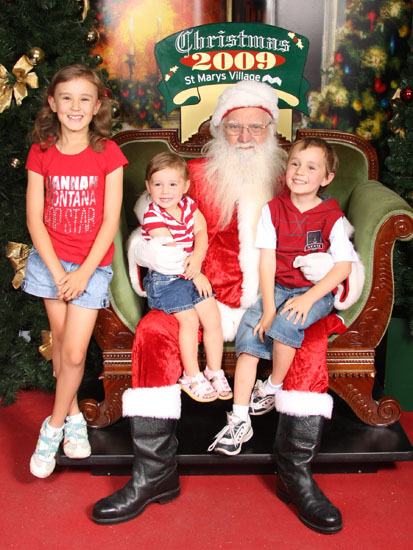 Today I took the kids to get their Santa photo. There were many protests, all by Kate of course because she did not like the shirt I wanted her to wear. Lucky I am bigger and older or the kids might not have had matching clothing. I will upload the photo tomorrow. 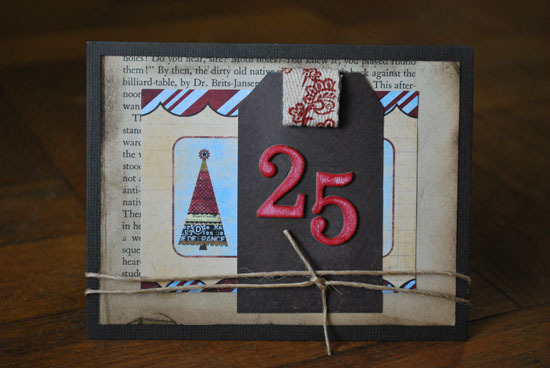 Today's 25 Days of Christmas is brought to us by Becky Oehlers of Hemidemisemiquaver Design blog. 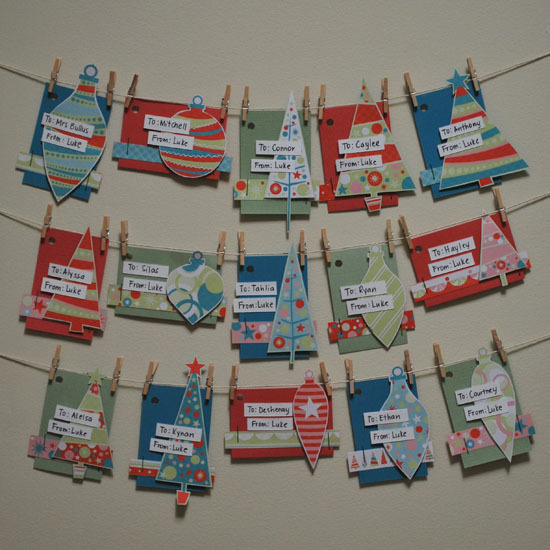 Her cards are just fantastic and a treat for any paper crafter. 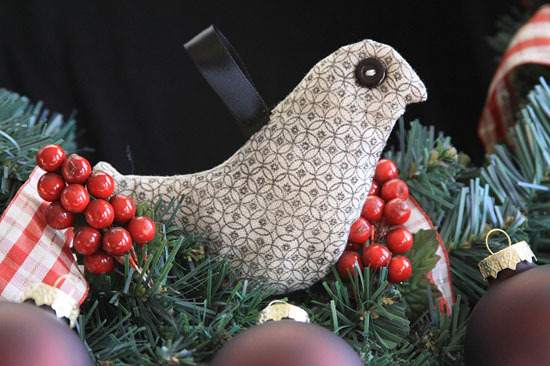 But it's her partidge ornament that caught my eye. Click here for the details. 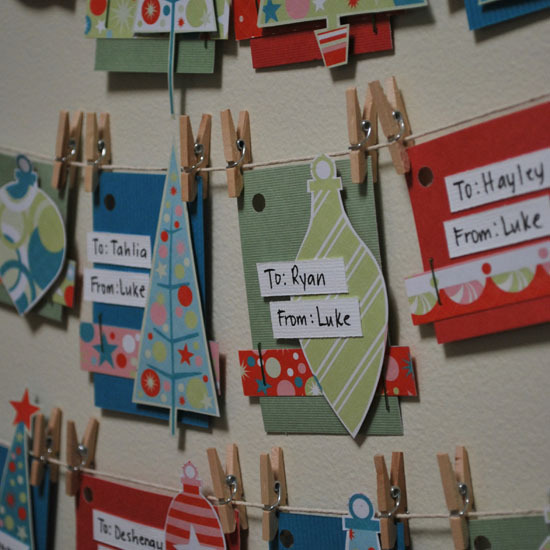 And please, for the sake of paper, check out her cards while you are there! Oh my, we are almost there, aren't we? Just 4 more sleeps! Only 3 for crazy people like me though. For today's 25 days of Christmas goodness I have something very special. 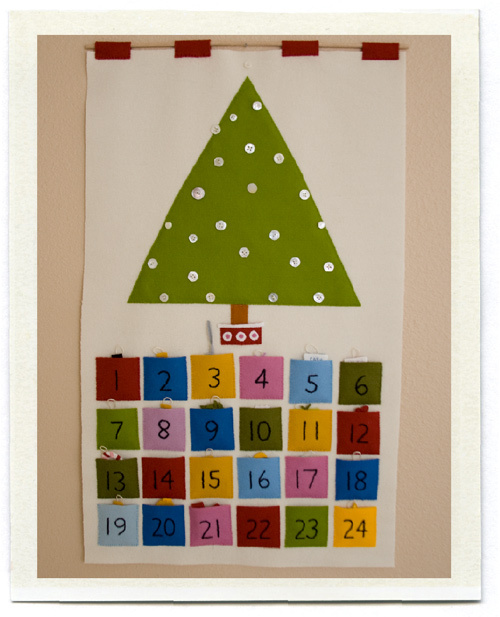 Yes it is an advent calendar, but it just oozes with festive cuteness. 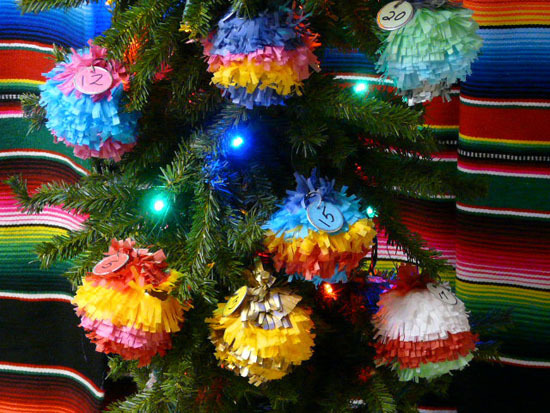 Click on this link to take you to the tutorial for mini pinatas. 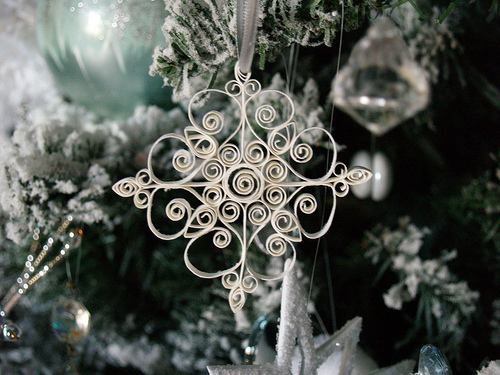 These have been made by Pam of Gingerbread Snowflakes blog. In other news, if I hear the words 'but I'm boooored' one more time, I think I might go postal. It's not that I didn't want to blog yesterday, it's just that I did not have one spare moment in which to do it in. Sorry about that. 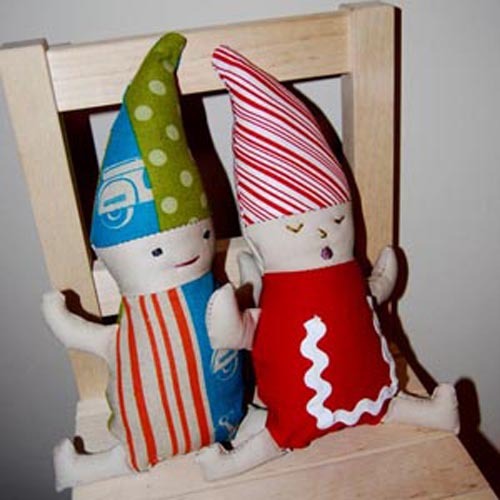 So, today, there are two Christmas crafts to share. They are both awesome ideas. 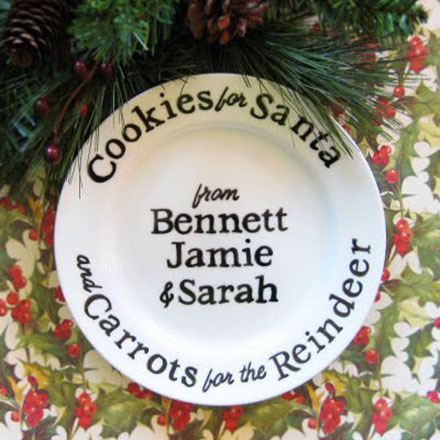 The first one is to make your own Santa Plate, which is made by Cathe Holden of Just Something I made blog. I really want to try this out, I think it's a wonderful idea that the kids wont forget as they grow older. 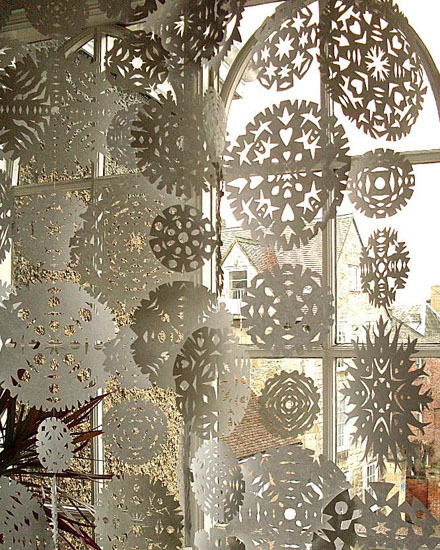 And the second craft idea is this gorgeous snowflake curtain which is made by Laura of Bugs and Fishes by Lupin blog. Stunning, huh? 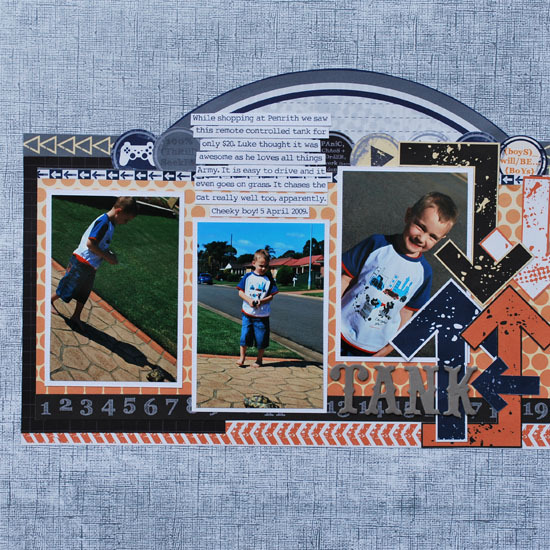 Some layouts to share from this weeks Scrapbook Establishment newsletter using the super cool Kaisercraft Rewind range. And now onto the 25 Days of Christmas craft for day 18. 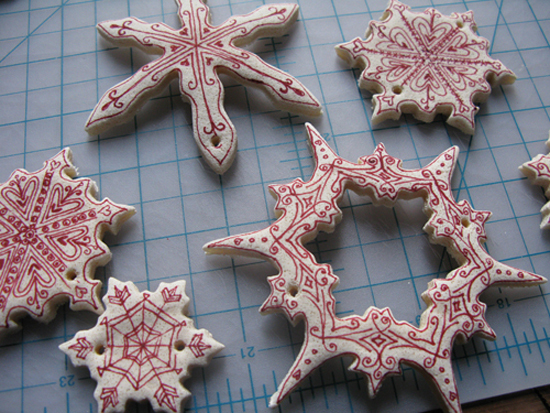 Some Salt Dough Ornaments. These come to us by way of Katy Elliott's blog Home, Art + Food. I was thinking that some special mummy and kids time is in order to create these. I think the kids would have a blast making these! Fun, huh? And on top of this huge post I have another share. Every day we have been Google-ing pictures to set as our desktop background. So far we haven't got past 'LOL cats' because they are pretty funny. Here's the one I picked for today. 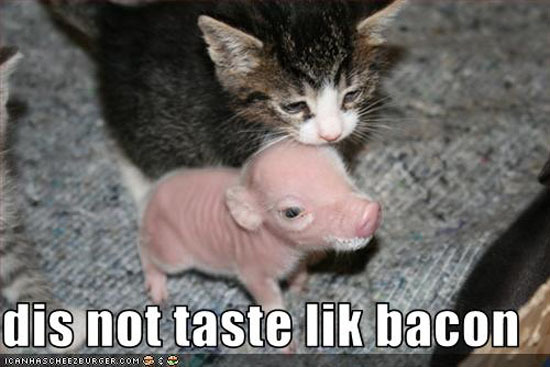 Well, I thought it was cute/funny! I can't believe I am still keeping this up?! Today's Christmas goodness can be either of the fabric or the paper kind. 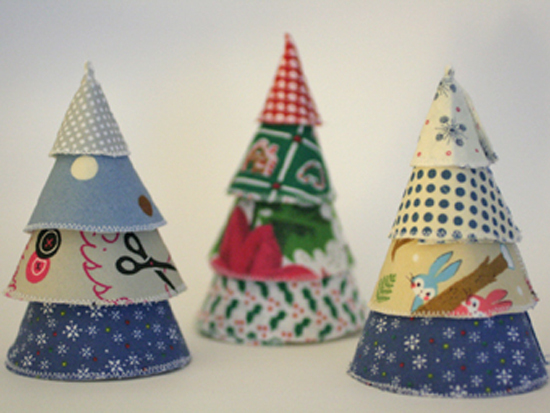 I found the most adorable stacking fabric Christmas trees over on The Small Object blog. Cute, huh? 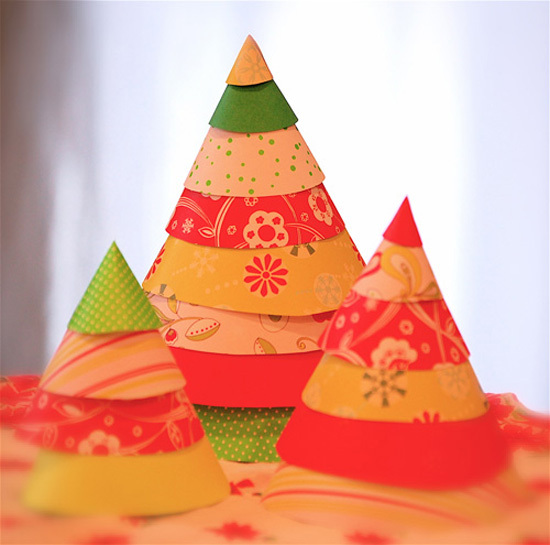 And then I found the tutorial was used to make paper trees over on the Bella Dia blog. Again, cute, huh? While typing I am eating my dinner. Tonight I made a low chemical side dish - rice and cottage cheese pie put of the Friendly Foods book. You know what, I wouldn't have thought it, but it is actually yum. Steve has an appointment with the RPA allergy clinic in january so there is much progress with that side of things. 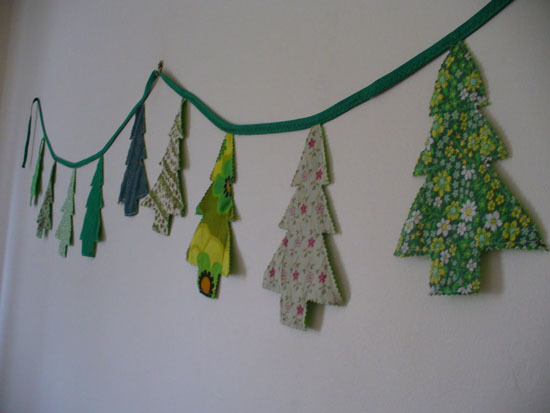 Today I have the most special Christmas tree bunting to share with you. I think this would look great hanging across a mantel. I don't have a mantel. I have a buffet which at the moment is adorned with a ceiling fan that the electrician was supposed to put in about a month ago. I think I need to find a new spraky. Hmmm. Anyway, it would probably look good across my buffet too. 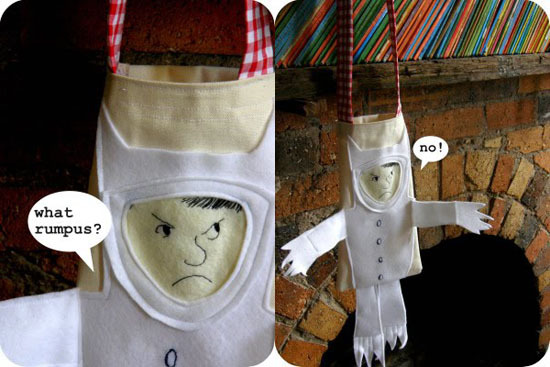 The bunting is brought to us today by Sadie from the Sadieandlance blog. Follow the link to her detailed tutorial. Gorgeous, huh? Wow, by writing the date down every day it has made me realise that I have so much to do and not nearly enough time to do it all in. Not to worry, everything always seems to work out. So, onto today's project. I know I for one loathe spending money on things like bows because they only end up in the bin. 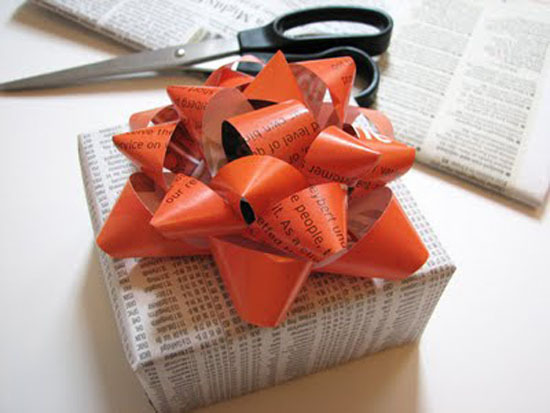 Well, lookie at this tutorial to make your own bows for presents! The best part? It would cost next to nix! 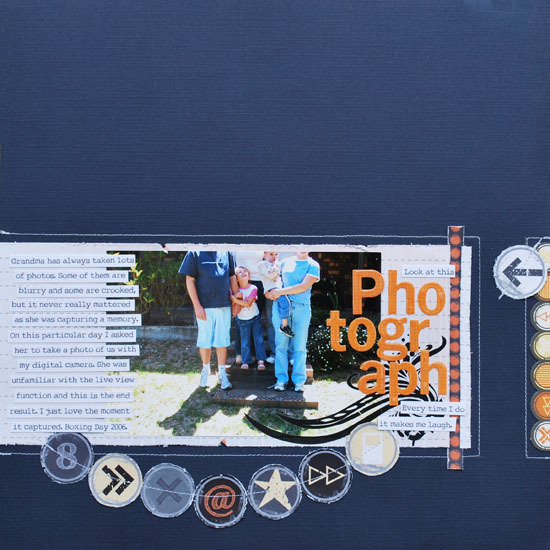 Thankyou to the very talented Jessica Jones of the How About Orange blog for this tutorial. I have been a huge fan of this blog for ages. 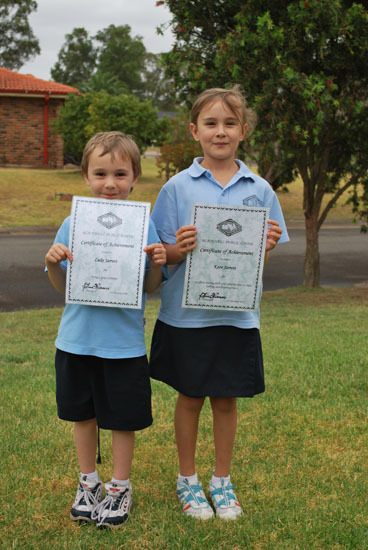 I have spent the better part of the day at school as both Kate and Luke received awards. Kate's award was for 'excellent reading skills and contributions to class talking and listening topics' and Luke's was for 'being a quiet achiever'. Pretty proud mumma. 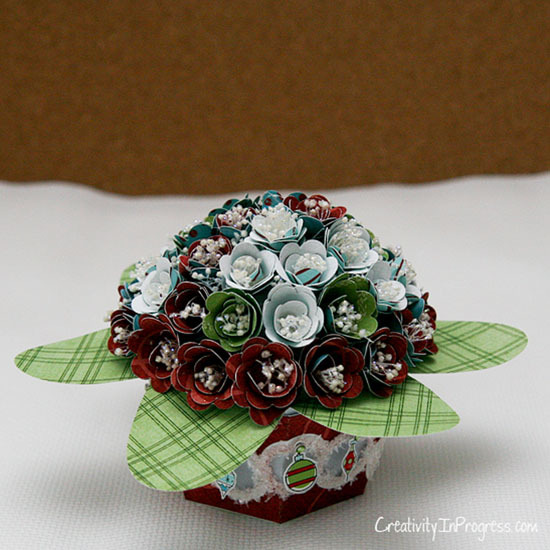 Today's 25 Days of Christmas craft has been made by Sunghee of Creativity in Progress blog. She has created the most divine bunch of paper flowers ever. Follow this link to see her tutorial. It really looks like it took a long time, the results are worth it though! Just stunning!! After Friday's 'incident' with carting Steve off to the hospital, we have now decided to get tough with the low salicylate, amine and glutamate diet. Tomorrow we will order the RPAH Elimination Diet Handbook and we will also go in search of the Friendly Food recipe book. I am not an adventurous cook and Steve is not an adventurous eater. I don't think he has much of a choice now. I am over being scared half to death every time he has an attack. 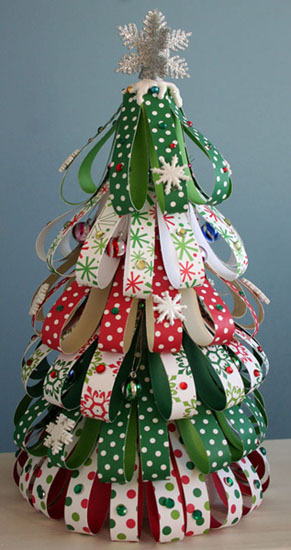 Today we have a paper tree made by Kellie Fortin of Polished to Perfection blog. Click on this link to see how she made it. I grabbed some styrofoam trees last time I was at Spotlight. I hadn't worked out exactly what I was going to do with them, but I think this might be a nice was to spend a morning with Kate and Luke and we can make them for our table for Christmas day. 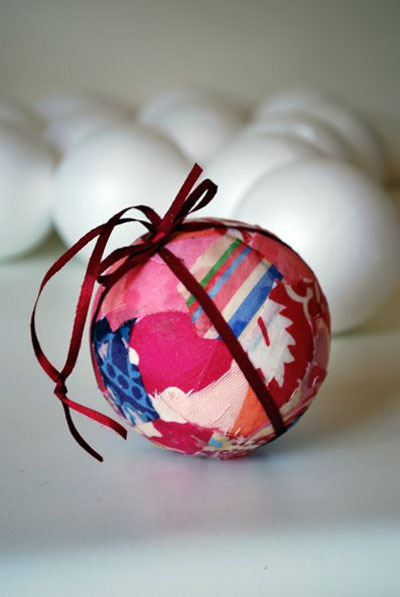 Today's 25 Days of Christmas craft is for those of you who like to use power tools. I don't. They kind of scare me a little and I think I am going to cut off a limb. 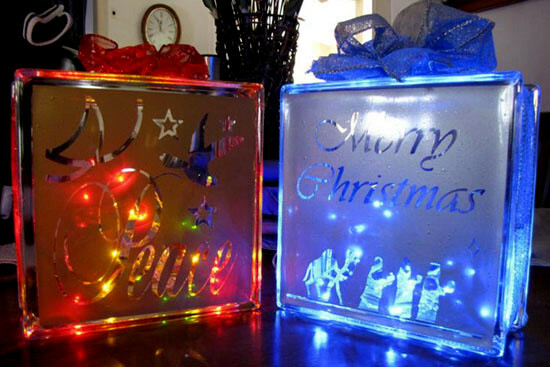 For those of you who don't mind using them, have a look at this glass brick Christmas decoration tutorial. 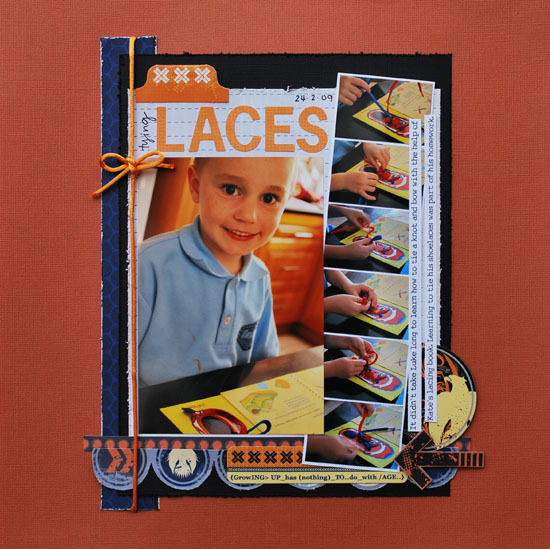 These come to us via Jilly at Scrap'n'Beads blog. Wow, I am only just going to squeeze this in before midnight as we had to make a trip to the hospital. Yep, Steve again. His symptoms came on so quickly and severe it was really scary. He is feeling better, although still not well. The problem is we still don't know the exact triggers for his reaction. 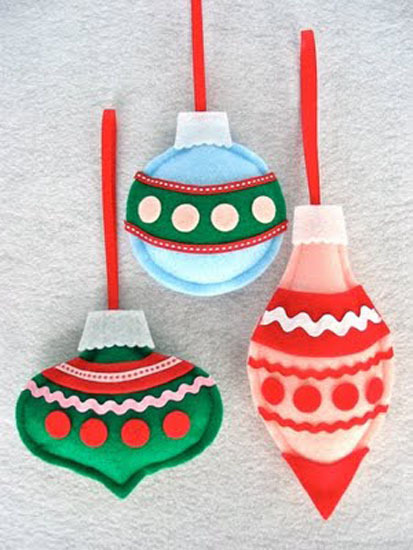 Onto something pretty and nice: here's a link to a tutorial for some felt Christmas ornaments. These come courtesy of the Fantastic Toys blog. And believe me, they are fantastic! I must say, I really am enjoying researching and blog hopping. I have come across so many inspiring projects. It really is fun and I think my bookmark list is way longer than just 25 links. 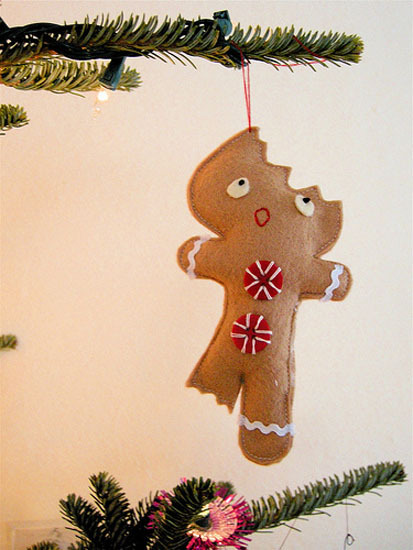 I found this tutorial for the cutest little Gingerbread Man. All credits must go to Elsie Marley. He is cute, huh? Not that he would match my tree colours this year as I went with purple, pink, blue and silver. I must share a photo when I get a tree topper that matches. Yep, an early post as I was late for work last night due to a road closure for roadworks, which means I am going to have to leave early tonight. And you wanna know what else bugs me, when I go to buy yoghurt and every single pack of the flavour I want is out of date. How does that happen?! 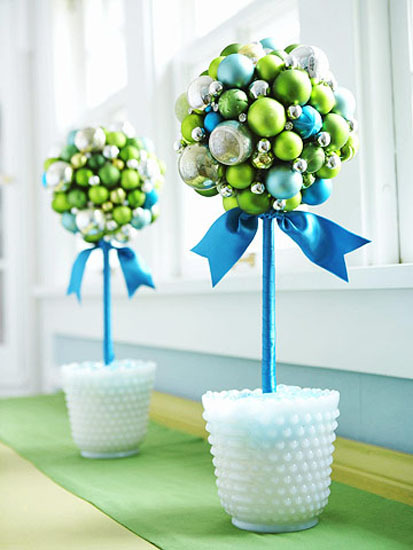 I probably wont ever make these, well, maybe I might, but certainly not with glass balls. Not in my house. It wouldn't last one Christmas. But you know what? I really could imagine these on my buffet. Hmmm. 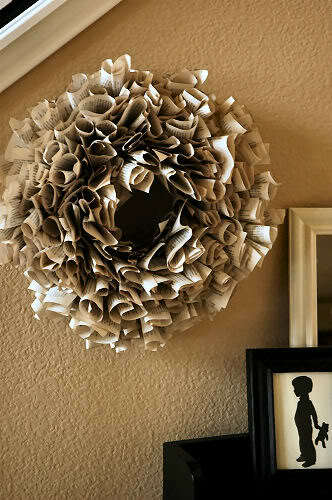 I found these on the Better Homes and Gardens website and the link to the tutorial is through here. I have even shocked myself by keeping this up for a week straight. I am normally the flakey, but good intentions person. Although there are still 18 days to go. I haven't made it just yet. This one is for those of you out there who love the wrapping process. I found this quite sweet and I might even use the idea myself. 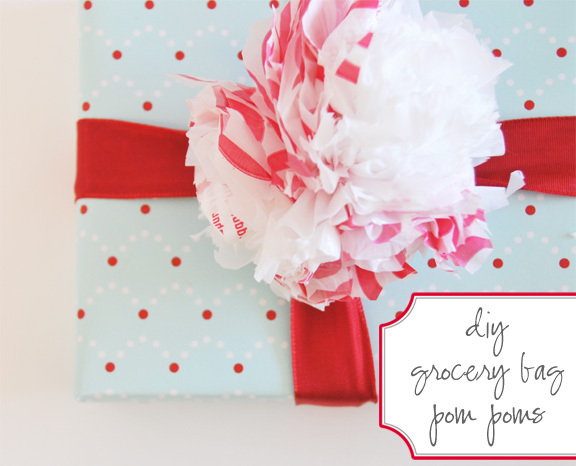 A pom-pom present topper. Eco-friendly, even. Credits go to Ez of Creature Comforts and you can see the tutorial by clicking on this little ol' link. Today, it's something I actually made! I know. It's shocking to me too. I will take a better photo tomorrow when there is more natural light and in a better location than on my driveway. Ok, so it's only a slightly better photo, but better nonetheless. 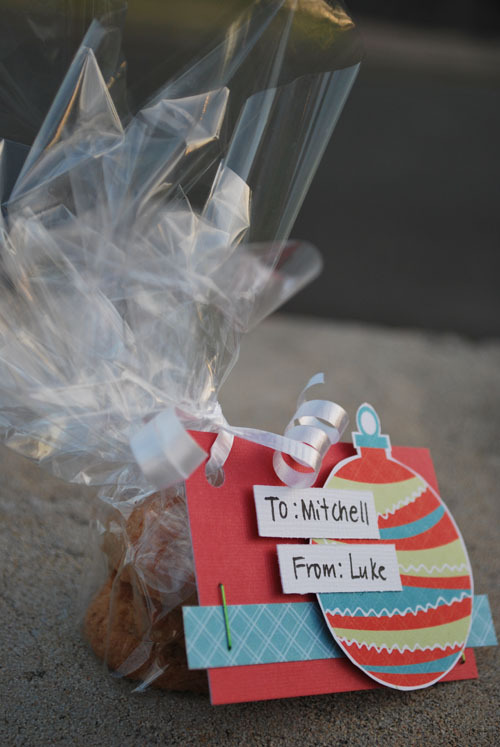 This year for Luke's class I am making them little cookie bags so I made some tags for something different. I used Kaisercraft's Christmas Carnival range. And this is what they will look like when I package them all up. I couldn't be bothered making sugar cookies, so I just bought a tin of the Danish Butter Cookies. They are one thing I love about Christmas. 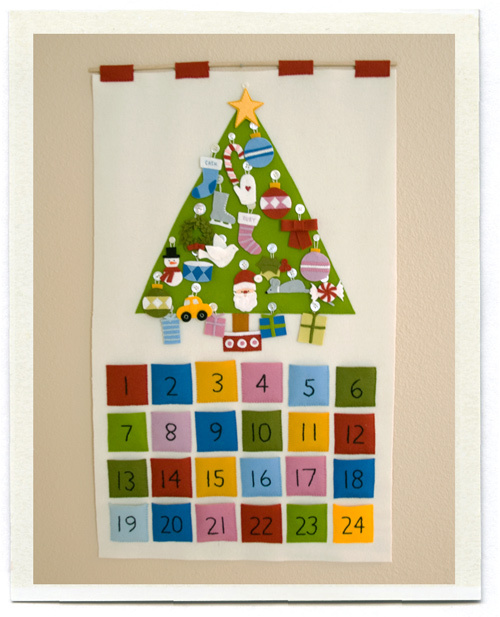 An advent calendar that's so cute you cannot help saying "awww", well, in your head at least. Or out loud, like me. Either way. Created by Brooke Reynolds of Inchmark. No tutorial, this time, just some gorgeous photos of a gorgeous project. Blogged here and here and here. 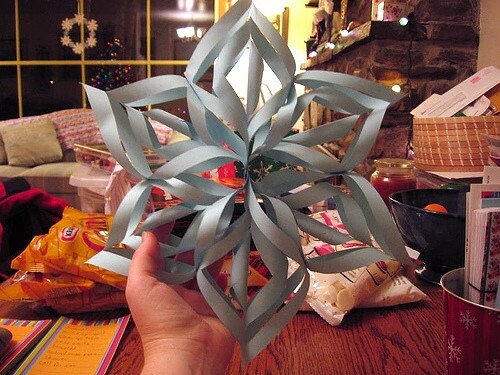 Today I will share a quilled snowflake I found. The odd thing was that this morning I was flicking through the Christmas edition of Notebook magazine and I found this very thing. Hmmmm. I was thinking of making a fw of these and hanging them on my Christmas card banner in between the cards. I will share when I do it. All credits go to Tresa Edmunds of the Reese Dixon blog. Just a card I made for the challenges over at TSE. 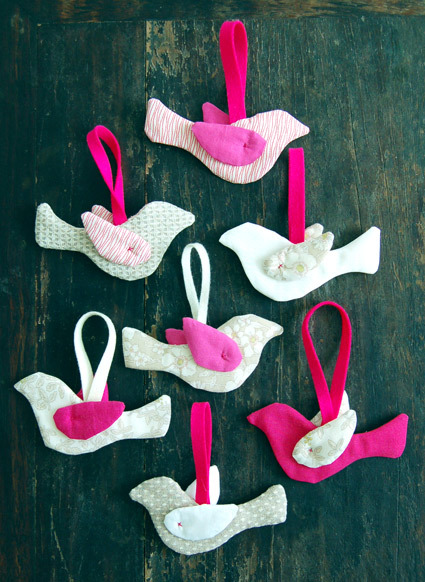 It's using some leftover bits from the Pink Paislee Mistletoe & Co range.